Washington – Sen. Richard Blumenthal has partnered with a powerful Republican, Sen. Charles Grassley of Iowa, in an effort to ensure the final report by special counsel Robert Mueller becomes public. On Monday, Blumenthal and Grassley, a senior member of the Senate Judiciary Committee and Senate president pro tempore, placing him third in line of presidential succession, introduced the Special Counsel Transparency Act, which would require Mueller — or any future special counsel — to submit a final report of his investigation directly to Congress and the public. The requirement would also apply if the special counsel is fired or resigns before the the report is finished. Mueller is leading the investigation into Russian interference in the 2016 election. That investigation has already resulted in criminal charges against more than two dozen people, including President Donald Trump’s longtime attorney, national security advisor, campaign chairman and campaign advisors. In a statement, Grassley agreed. “Congress and the American people have a right to know how their government conducts business and spends tax dollars. Special counsel investigations are no different,” he said. Grassley said he was “encouraged to hear,” that during his confirmation hearings to become U.S. Attorney General candidate William Barr “placed a high priority on transparency.” Grassley supports Barr’s nomination. 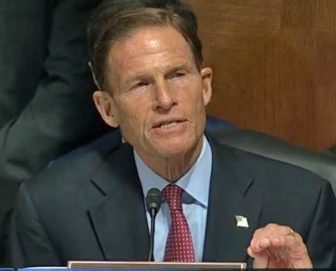 But Blumenthal – and other Democrats – are concerned Barr will release a heavily redacted and incomplete report to the public after Mueller hands over the results of his investigation to the attorney general. During his confirmation hearing, Barr told members of the Judiciary Committee that it was his “intent” to release as much of Mueller’s findings as he could, “consistent with the law.” But Barr, who is expected to be confirmed, stopped short of pledging to release the report in its entirety. Grassley partnered with Blumenthal last year on legislation aimed at protecting Mueller from being fired. Although the bill was approved by the Senate Judiciary Committee, Senate Majority Leader Mitch McConnell, R-Ky., said it was not necessary to hold a full Senate vote on the bill.